I’m not sure whether (or when) I’ll act on this particular nostalgic impulse. If I do, though, I’ll be sure to post my ideas here. The 'Final Edition' of OpenQuest is now available at d101 Games and Lulu. 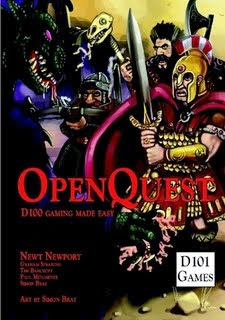 OpenQuest is a very nice 'light' version of RuneQuest/BRP/d100. I highly recommend OQ to anyone who digs BRP/d100 fantasy, but (a) does not want to fiddle around with 'hit locations' (as found in all versions of RQ, including MRQII), (b) wants a simpler system overall (fewer skills, less fiddly magic, etc. 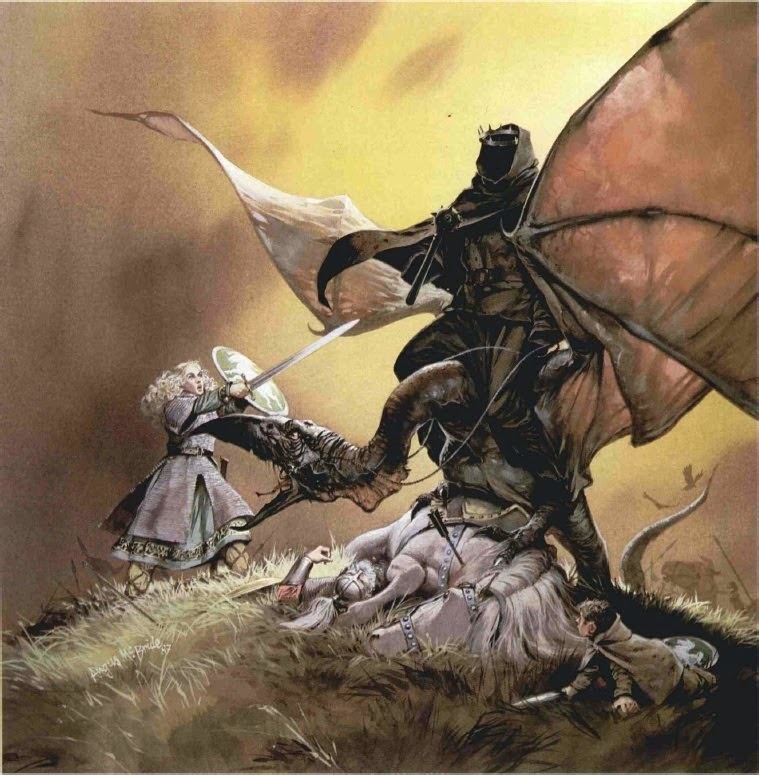 ), and (c) wants a set of fantasy BRP/d100 rules not tied to any particular setting (in contrast to Elric!/Stormbringer). Nymphs (Dryads, Oenids, Hags) by Paul Mitchener. Characters - added Ready Made Concepts to the end of this chapter. Combat - Reorganised order of sections, to one that hopefully makes more sense (see what you think), added quick guidelines for Fumbles in combat, moved Ganging up in Combat to this chapter. Also made a montage of Simon's art work (Sorcereor, Orc, Barbarian and Troll pieces) to form a fight scene. The Quest and Afterwards - Moved Plot Edits, Ship rules and Major Mental Damage to this chapter under spot rules. Creatures - added the demons from Horror & Terror into this chapter. Appendix A : Optional rules and Appendix B: Horror & Terror - since content now moved into main text. Also numerous layout tweaks throughout and a few bits of errata that got missed out from the Con-Quest edition..
Perhaps a clearer way to approach this is the question of what would happen if the term "OSR" were eliminated from the lexicon. What is that term really used for? 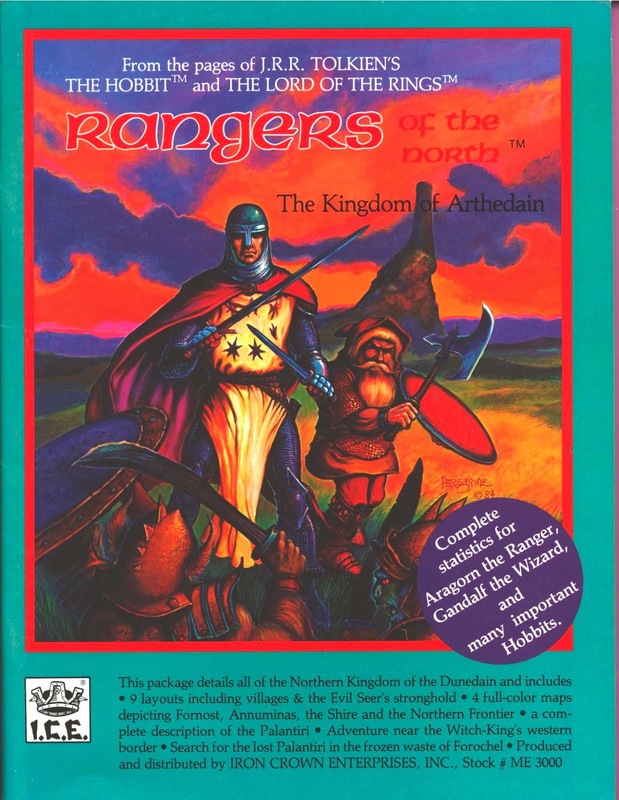 Here is the issue - is there now a shorthand term for what happened after 2000, when Steve and Mark founded Dragonsfoot and then Footprints (free 0e-2e materials), when TLG published Castles & Crusades (was that 2004? ), the foundation of the Grognard's Tavern and K&KA (2005? ), the almost-simultaneous release of OSRIC, Cairn, Pod Caverns, and a 1e module from Kenzer at GenCon (2006), the publication of Labyrinth Lord (2006 or 2007? ), Swords & Wizardry in 2007 or 2008? ), Fin's ODD board (2008? )and then the conventions, GaryCon and North Texas (2009). These are all steps that represented FAR more activity than in 1999 (except in 2e). How would one refer to that? Now, there IS a movement, actually. Many people are part of the IEP3GCwC (OSR) community JUST for gaming resources and good conversation. These have no agenda, and that's absolutely, totally, completely fine. These guys are the core of the internet IEP3GCwC community. They are not a movement. The movement is the group of people who want to spread the hobby, just as there are some model train guys who just want to talk about model trains and some who want to spread that hobby. Our particular movement on that is NOT the OSR; it is not organized (indeed, the TARGA attempt to organize it in order to provide resources for such folks fell apart). It's purely a set of individuals doing their own thing. Most of the publishers (esp. the retro-clone publishers) chose to publish because they fall into this group. They aren't members of this group because they are publishers. (why retro-clones are a good tool for spreading the hobby is a discussion for some other day). Your folks in Wisconsin, if they aren't on the internet, aren't part of the IEP3GCwC because they aren't on the internet - the IEP3GCwC (or OSR) is a phenomenon based on the internet's increase of communication speed and community and the products it has spawned. The grow-the-hobby movement has absolutely no coherent ideology beyond grow-the-hobby. One group focuses on spreading the use of original books, despite the hurdles. Another group uses retro-clones because of the zero buy-in cost for new players. Everyone uses his chosen edition for introducing new players at cons or expo games (another reason for the clone-proliferation is to provide zero-cost resources for more members of this group). All these guys differ - sometimes quite violently - about how to accomplish the goal and what the goal is. Even though the grow-the-hobby movement is truly a movement, it is a grass-roots and utterly individualist one. I'm proud to be involved in that, but I certainly don't claim that all gamers have this responsibility. It's almost like a separate hobby from the gaming itself. Merely the joy of seeing a new gamer suddenly "click" to a different style of gaming. 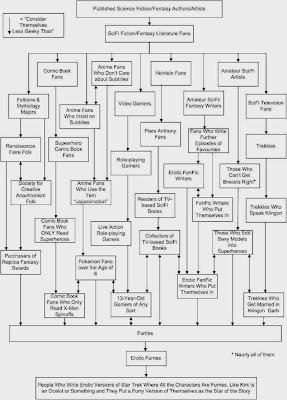 And yes, there are plenty of gamers who have VERY strongly held subset-views about how to play. Edition wars, sneering, or (in a much more productive vein) discussing what the different ways of gaming ARE. But this is a third group, and even if they represent "movements," they are nowhere NEAR monolithic - in fact, they are almost by definition at each others' throats all the time. The OSR, or IEP3GCwC, isn't the "movement" part of our community. Originally posted in the comments here. 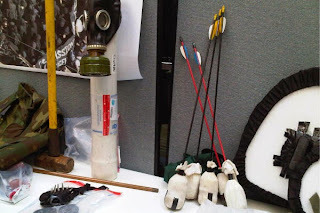 In addition to the arrows – which Mr. Barrett made safe for live-action role playing by cutting off the pointy ends and attaching a bit of pool noodle covered in socks – police displayed his metal body armour, foam shields and several clubs made of plastic tubing covered with foam and fabric. 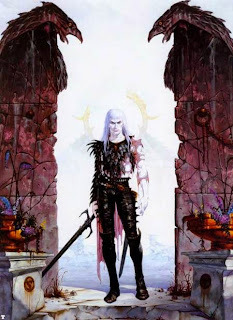 Chaosium's excellent Strombringer (1e and 4e versions) and Elric! role-playing games are now available for sale at DriveThruRPG and RPGNow! Most of the support material for those games are also now available in PDF, as is the 1e version of Chaosium's Hawkmoon RPG. Strangely, Stormbringer 5e is not available. 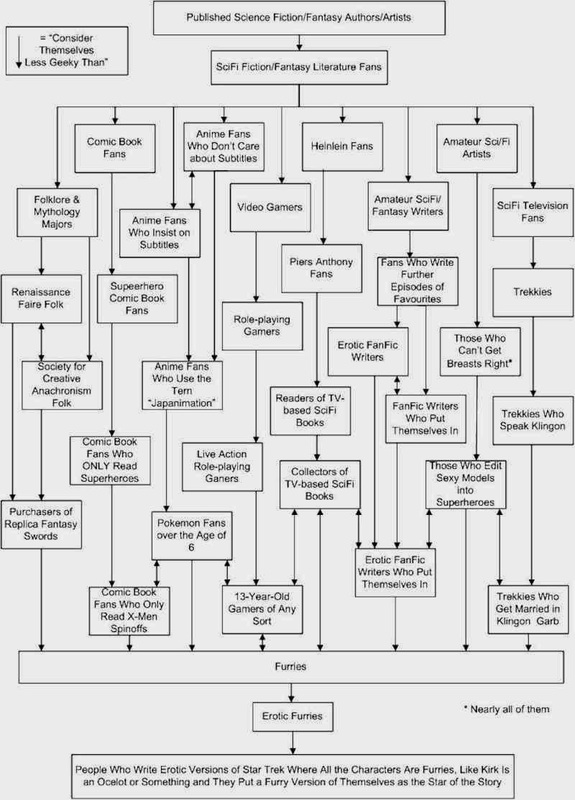 However, since SB5 is essentially identical to Elric!, this is no big deal. Far more unfortunate, in my opinion, is unavailability of Darcsyde's excellent supplement for SB5/Elric!, Corum. The Corum supplement provides some very cool twists to the Elric! system (including an intriguing alternative 'magic' system for Law). And, personally, I find Moorcock's 'Corum' stories to be far superior to his 'Elric' ones. Nonetheless, this is great news for fans of BRP. There are lots of classic books now available again, such as Atlas of the Young Kingdoms, Stormbringer, The Shattered Isle and much more. Whether you are a player of the older games or looking for more source material for Mongoose's own forthcoming and updated Elric of Melnibone (due for release next month), you can bag some handy bargains that are bound to enthrall any Moorcock fan. I would recommend Elric! for fantasy role-playing games outside of Moorcock's 'Young Kingdoms'. Stripped of its setting-specific details, Elric! is a superior fantasy version of BRP, suitable for play in almost any 'swords and sorcery' setting. Indeed, I've often been tempted to use it for a 'Wilderlands' campaign. It's reassuring to realize that sometimes 'good things' do happen out of the blue. 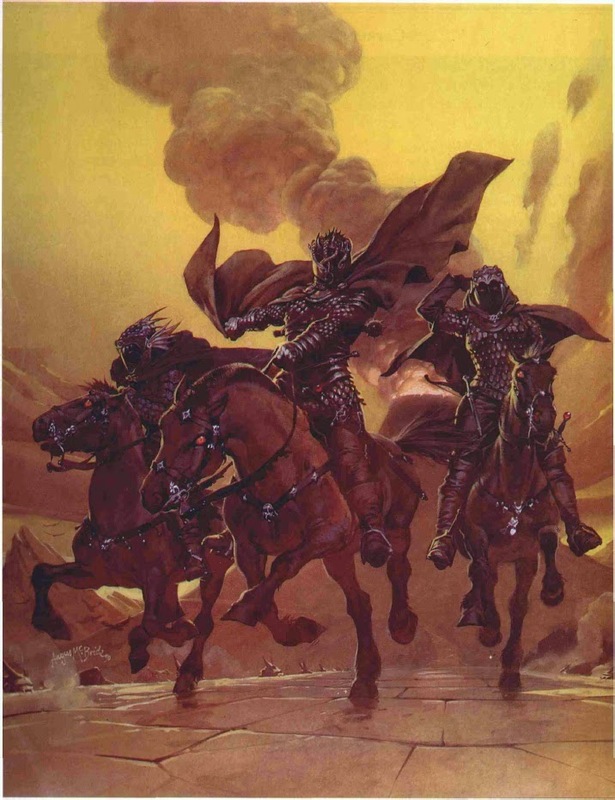 Are the Nazgûl the Ultimate Fantasy Antagonists? I’m inclined to think so. I have a hard time imagining a more dramatic or thrilling kind of foe. The Ring-wraiths are intelligent, relentless, and terrifying. I still vividly recall watching the animated Lord of the Rings film as a wee lad. 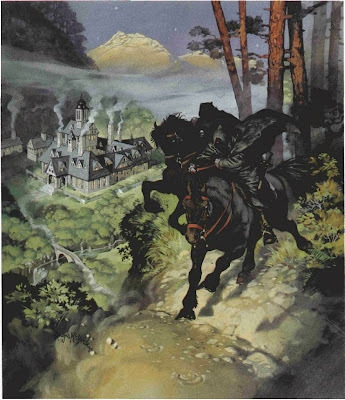 The scenes with the Nazgûl were amazing … and very frightening. In particular, the scene in which Frodo and Sam are hiding from one shortly after leaving the Shire, and the Ring-wraith starts ‘sniffing’ for the one ring, especially struck me. Bakshi’s film (although I realize now that it is deeply flawed) ignited my lifetime love of fantasy, and the portrayal of the Úlairi played a huge role in that. The Ring-wraiths also have a tragic element. Once they were men, powerful sorcerers, kings, and princes. But their desire for power and immortality led to their entrapment. One can understand the temptation. Humanity’s fear of death – and the tragic things that it will do to avoid that fate – is a common theme in Tolkien’s Middle-earth (the fall of Númenor being the most vivid example). Consequently, I feel as much pity as I do fear for the Nine. Above are three pictures portraying the Nazgûl by one of my favourite fantasy artists, Angus McBride.